Please be informed that our October 2017 shipment has been delayed to November 2017. 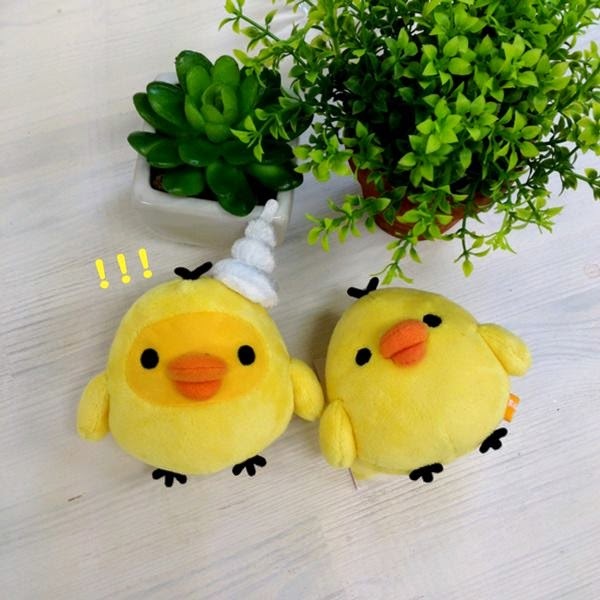 We will update you on your order status as soon as we receive the arrival list from San-X. To compensate for the delay, we will offer a refund option for April 2017 pre-orders due in October 2017. We will be checking the arrival list given by San-X and proceed to refund orders that cannot be fulfilled within a 6 month time frame. However, if the April released items are to be shipped from Japan and arrive next month, we will continue to pack and mail out the items as usual in November 2017. 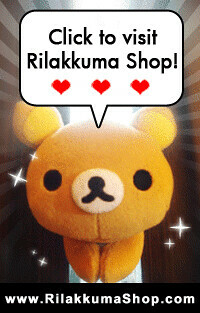 Kindly drop us an email at contact.rilakkuma@gmail.com if you have any questions or would like to cancel your order and obtain a refund before the goods arrive. Thank you for your understanding and patience, we greatly apologize for the inconvenience caused. 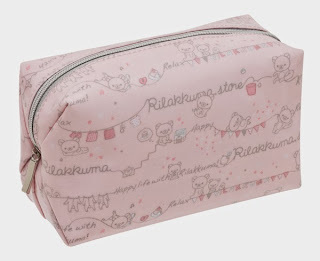 We are working to get the goods as soon as possible. Summer is coming and a series of Rilakkuma Summer theme Plushies are rolling out. 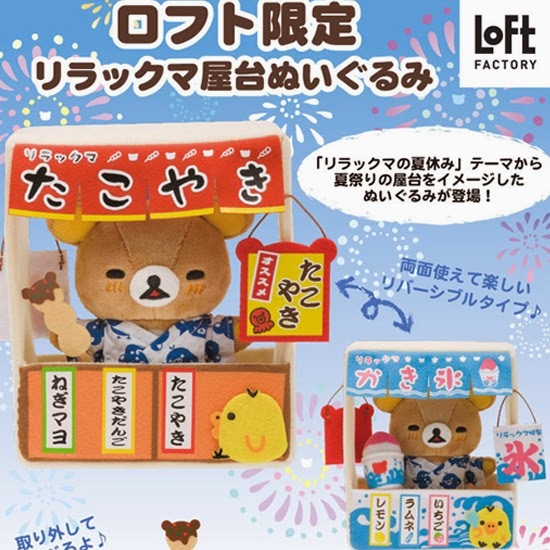 Korilakkuma seems to be missing out from all the Summer action for now but here is the new Rilakkuma x Loft Collaboration Scene Set. 屋台 Yatai refers to small, mobile food stalls that you often see in Japan's streets and during Japan's Matsuri (festivals). 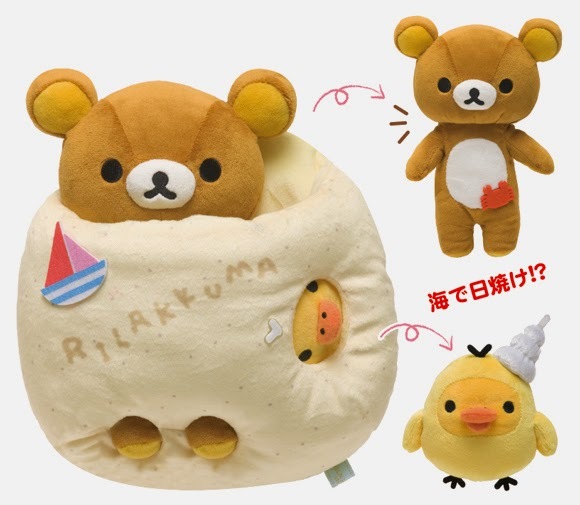 Here we have Rilakkuma selling both hot and cold food. 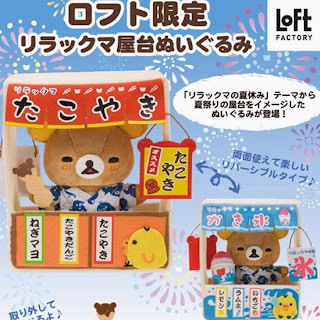 One side of the scene set, Rilakkuma is selling たこ焼きTakoyaki (direct translation: octopus balls), balls made of flour and filled with octopus fillings. 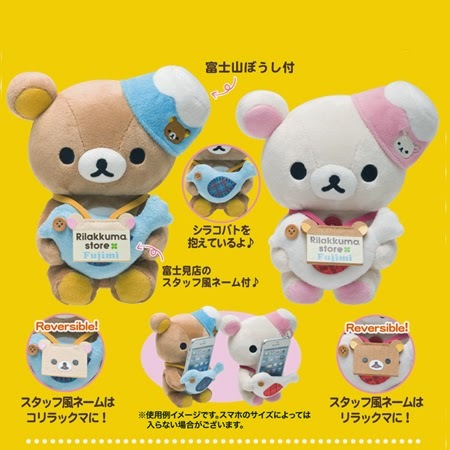 And the other side of the plush, Rilakkuma is selling かき氷Kakigori which is flavored shaved ice desserts. 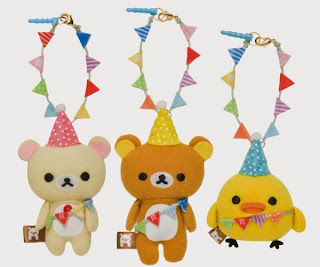 Kiiroitori is the customer for both food stalls which made it extra cute! 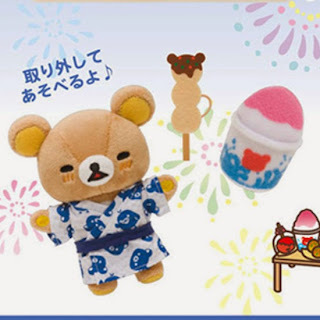 Rilakkuma can be removed from the scene set and he is wearing some super cute yukata! Rilakkuma and Kiiroitori silhouettes are printed on the yukata. 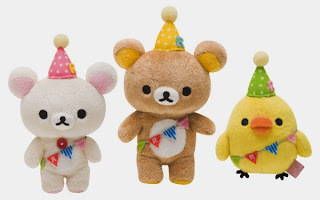 The Takoyaki and Kakigori can be removed and placed on his paws accordingly. Click here to pre-order this super kawaii Rilakkuma Yatai Scene Set!